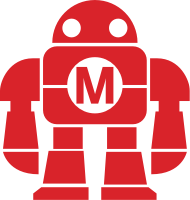 Join us for Maker Faire Milwaukee! Maker Faire Milwaukee can’t happen without Makers! We need people willing to show off the amazing things they do and the awesome stuff they make. Are you a Maker? Join us! The Call for Makers is open now! Maker Faire Milwaukee can’t happen without Volunteers! We need people willing to help put on the “Greatest Show (and Tell) on Earth” for everyone in our community. Help make the Faire awesome! Thanks for Sharing Wisconsin State Fair Park with Us!